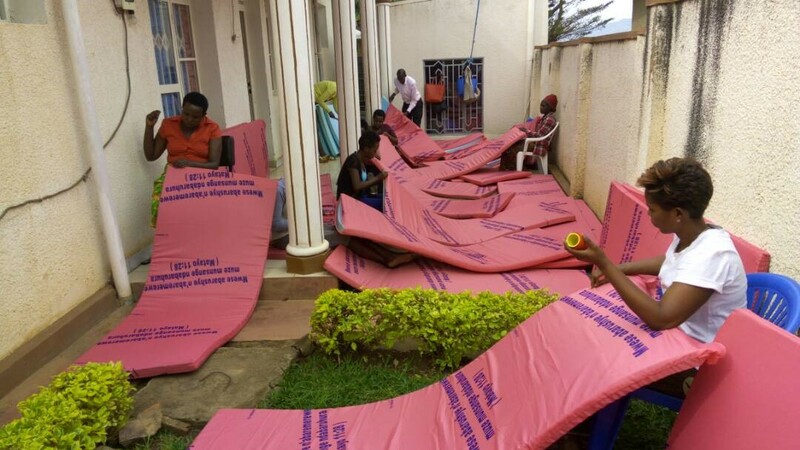 One of the programmes that GNPDR has been running for a couple of years now is the Mercy Mattress project, and it continues to go from strength to strength. 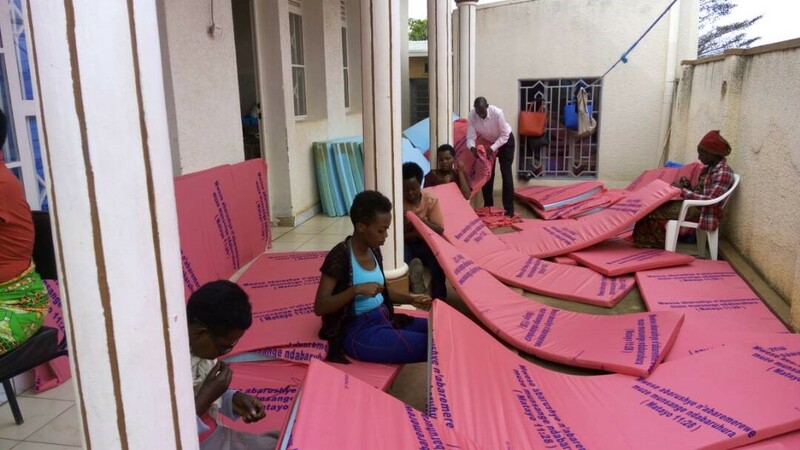 At the heart of the project is reconciliation between genocide victims and perpertrators, and this comes about through the genocide victims being given employment to make mattresses which then go into the Rwandan prisons for use by prisoners who don’t have any bedding, many of whom are genocide perpetrators. The mattresses are simple in construction – a piece of foam covered by material – but the fact that the material has a Biblical text on it, of hope and forgiveness, means that those who are receiving the mattresses also receive that message, and those who are making the mattresses also send that message. In so doing, the victims are finding that the slow process of healing and reconciliation moves a little bit further forwards. GNPDR mattress-makers recently made their 3,000th mattress – which means that 3,000 prisoners have received the message of hope and forgiveness. 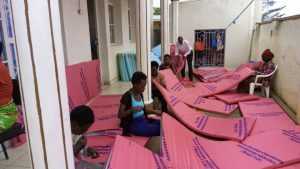 And those who make the mattresses have read the message many times, and can bear testimony to the change it is helping to bring about.